Magazine Racks that are functional and well built. Acquire your Magazine Racks here now. Two peices for the price of one! 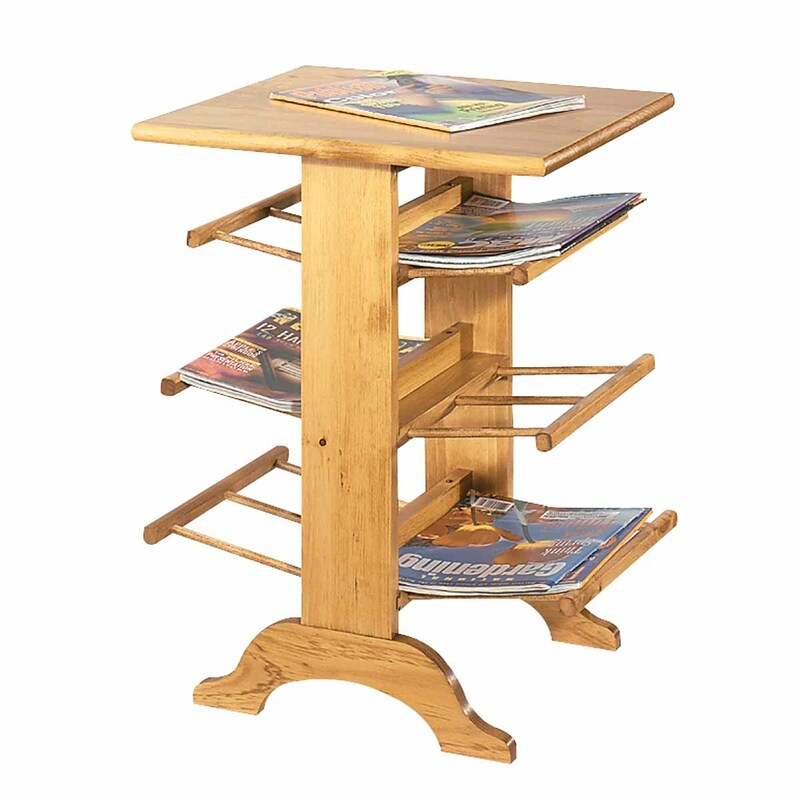 End table holds your magazines and catalogs. 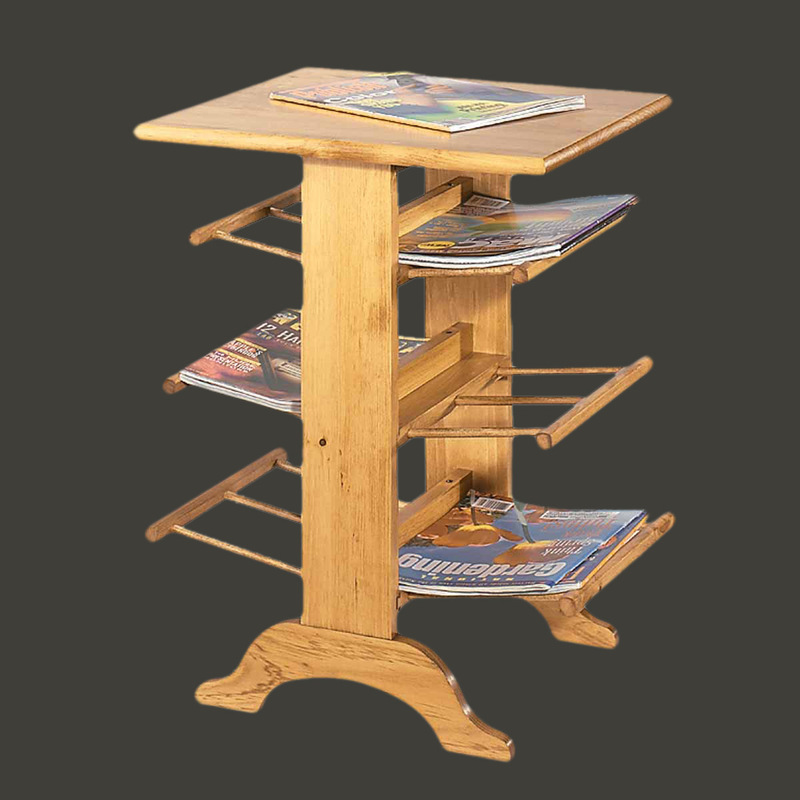 Solid pine with hardwood dowels. This rack is 18" wide, 24" high, and 16" deep. Finished in Country Pine, refer to sample.